Latest picture of Johnny Depp! Here's the ENTERTAINMENT WEEKLY cover shot! ENTERTAINMENT WEEKLY hits the stands today with their Fall Movie Preview issue–a double issue dated August 20-27, 2004. 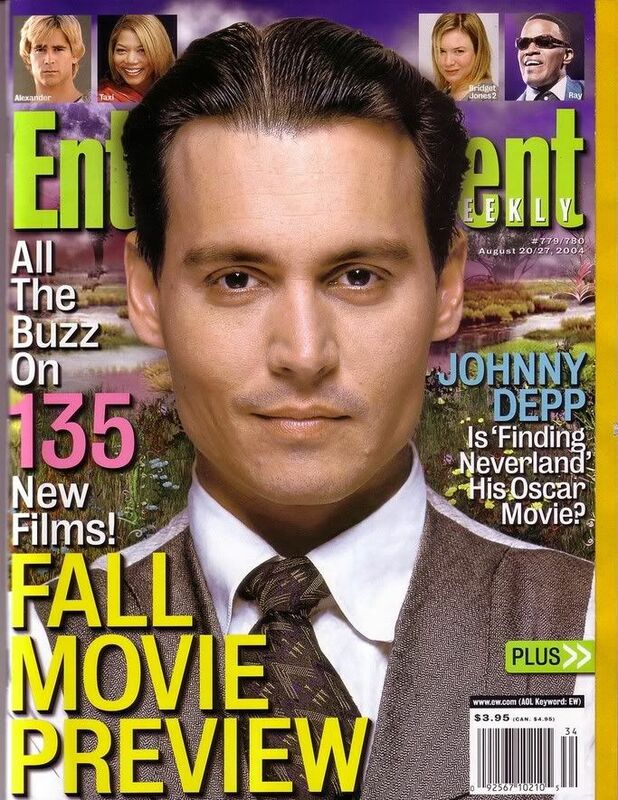 The magazine promises to deliver “All the buzz on 135 new films,” but the cover is dominated by one film and one actor: a huge shot of Johnny’s face in character as Scottish playwright J. M. Barrie from FINDING NEVERLAND. Categories: Uncategorized | Tags: | Comments Off on Latest picture of Johnny Depp! Here's the ENTERTAINMENT WEEKLY cover shot!